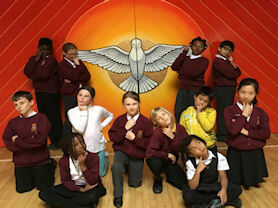 We have fantastic children at The Oratory who are keen to participate fully in the life of the school. 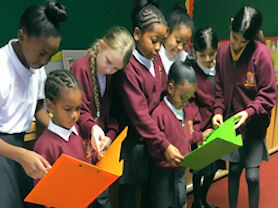 This team is comprised of children from Years 4 to 6 who are passionate about journalism and writing. You can read their half termly newspaper The Oratory Chronicle, which was first launched in October 2018. Being a familiar and friendly face! Helping with the new lunchtime routine, in the dining hall and outside. Reading to and with the children. Supporting the children if they are worried or anxious. Praying for, and with, the children. Children who attend Breakfast Club are always eager to help and the children pictured organised themselves to create the Morning Register Team! 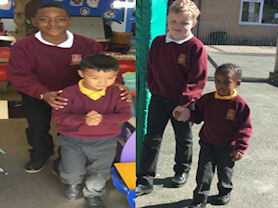 The Year 6 children are training children in Years 5 and 1. 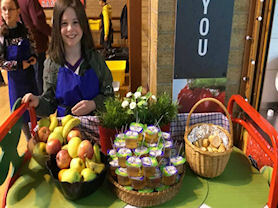 Children apply to be a member of the lunchtime team. They help at lunchtime by encouraging everyone to use good table manners, eat everything on their plates and clear away properly.